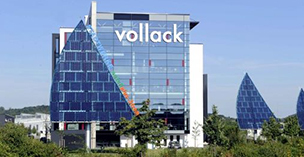 Vollack’s steelwork expertise is based on sound experience, architects and principals rely on this in projects of various sizes. Involved at an early stage, we shorten planning times, reduce cost and ensure reliable execution. 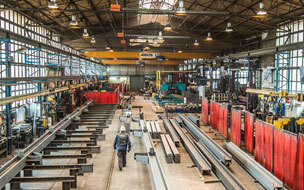 We produce support structures, modules and composite girders in our own production facility. Our services range from statics and structural design through to manufacturing and on-site assembly. Technical expertise, intensive planning, complete logistics and well-versed implementation ensure predictability and reliability. We put architectural visions into practice.